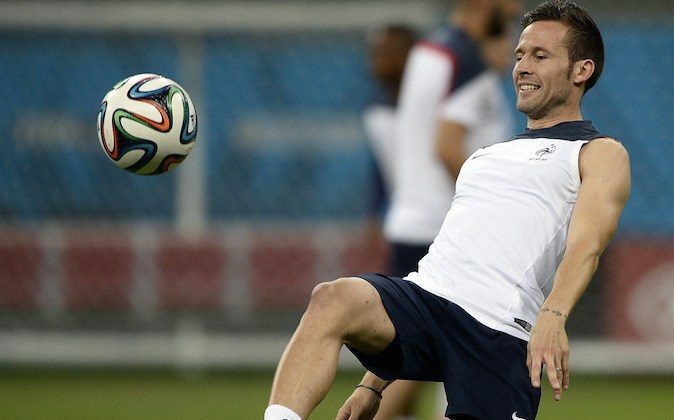 French midfielder Yohan Cabaye should be fit to face Switzerland on Friday. The 28-year-old midfielder, who plies his trade at French club Paris Saint-Germain, appeared to have injured his groin in France’s last World Cup 2014 match against Honduras last Saturday. France emerged from the match 3-0 victors. “The two games in Salvador so far have been great World Cup shows and I hope it will be the same when we play. I’d like to think it will be another high-scoring game for the public, but you can never promise that,” Deschamps said. Here is an Associated Press article on the upcoming France and Switzerland match. SALVADOR, Brazil (AP) — France faces Switzerland on the anniversary of its infamous World Cup training ground strike, and a victory in Friday’s match will go a long way to closing the darkest chapter in France’s football history. Four years ago in South Africa, the players shamed a nation back home and prompted the fury of politicians when they refused to climb down off the team bus in protest at one of their teammates being sent home. Confidence has been rebuilt under coach Didier Deschamps and pride in the blue jersey has — seemingly — been restored after some good results. However, questions remain whether the current side has truly turned the page on June 20, 2010 and Knysna — where the strike took place. Only four players who from that 2010 World Cup squad remain in this side. One of those, goalkeeper Hugo Lloris, is now captain. Deschamps looked exasperated that a question about the strike anniversary was asked, shaking his head in disbelief that the inquisition is still lingering. A handsome win should help end it, as well as give a better indication of how much France has improved. Whoever wins in Salvador takes a giant step toward winning Group E and avoiding a likely clash with Lionel Messi’s Argentina in the next round. The French did not get much of a challenge from Honduras in their opening World Cup match, winning 3-0 against a team that was reduced to 10 men before halftime. This is France’s biggest challenge since beating Ukraine 3-0 in November in the second leg of their playoff match after losing 2-0 in the first leg. Coach Ottmar Hitzfeld’s side has lost just once in 18 matches over the past two years and is No. 6 in FIFA’s rankings. Hitzfeld bases his team around solid defending and quick counterattacks, stretching teams down the flanks. France, however, does appear to have the edge in attack, with the forward line of Karim Benzema, Antoine Griezmann and Mathieu Valbuena boasting pace and mobility. Benzema scored twice against Honduras and has netted eight goals in his past seven games. Midfielder Yohan Cabaye has meanwhile been passed fit after recovering from a groin problem. “Yohan has fully recovered and there’s no problem,” Deschamps said.